Arsenal have confirmed their initial fears over Rob Holding, as he has been ruled out for between six and nine months with a serious knee injury. The 23-year-old sustained the issue during the draw with Manchester United in midweek, and as confirmed on their club site, the Gunners have revealed that he has ruptured the ACL in his left knee. It’s a brutal blow for the centre-half, as he has made 16 appearances in all competitions so far this season as after initially struggling to break into Unai Emery’s side, he has become an ever-present in the Premier League since the end of September. In turn, it’s a disappointing setback for him and for the Spanish tactician, who will now have to find a way to fill the void for the rest of the season with Arsenal confirming that Holding will likely be out for between six and nine months. It’s hoped that he can at least return for pre-season next year to get his sharpness back and be ready for the new campaign, but it remains to be seen if his rehabilitation now goes smoothly as he will be desperate to avoid any complications. Arsenal have been leaky at the back already this season, conceding 20 goals in 15 league games, giving them the worst defensive record of the top six sides. 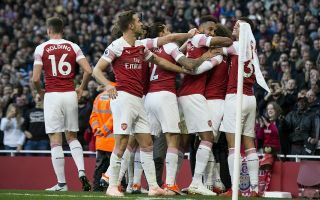 Losing Holding won’t help in shoring things up at the back, and so they’ll hope that the current options at Emery’s disposal can ensure that they remain on course for a top-four finish this season. Or perhaps they could be forced into being active in the January transfer window now.